Hit product brand “Fuji daruma”. -Speaking of Anshin-Shokai, it is “Daruma” brand. Ando: Our first president started selling clothes, so our strength is Kendo-gi and Hakama. -Founder made kendo-gi and hakama? Ando: Before world war II, Budo was very popular. 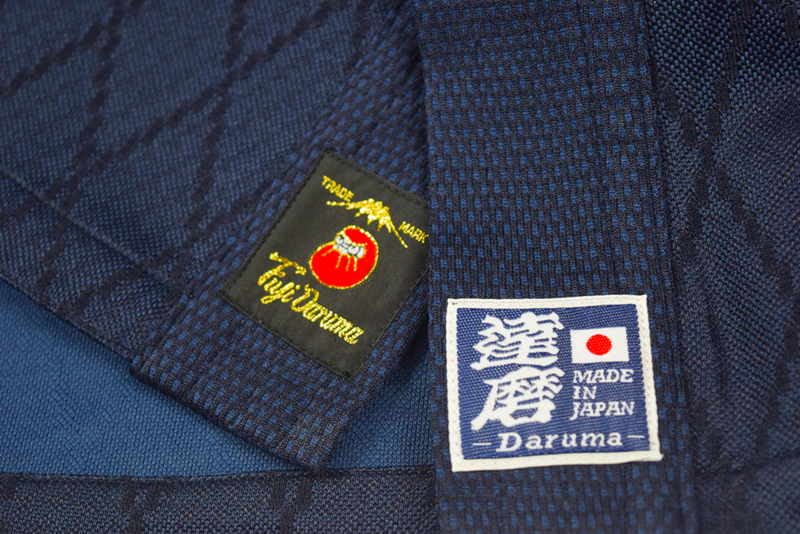 So we made Judo-gi mostly. At that time, Japanese didn’t know about sports so if people want to get some exercise, they did Kendo, Judo and Karate. There were many people who play martial arts. -After world war II, GHQ prohibited Budo. Ando: It seems there are many people who did Budo to hide. For those people, we pull the rear car in the black market and sell Budo products. Under the coat with five or six layers of judo clothes. Our company has been existing from such age. Ando: Famous baseball player Ichiro Suzuki is like a samurai, I think. -He take care of his things. Ando: He never let people to touch his bat. Samurai's sword is also the same. With that idea, people take care of things and doing Kendo long time. We also believe Kendo makers should make durable products. Ando: Standing posture is beautiful even though wearing like an armor. People from overseas say "There is no other sports such like Kendo". -There is a beauty in Kendo. Ando: I am glad to hear that opinion from overseas. People from overseas understanding beauty of Kendo. This entry was posted in AnshinShokai, Makers Story on 2017年12月26日 by BUSHIZO.